Ready for the Letter of the week? We have moved along quickly and are more than halfway through the alphabet already! Today I have some great preschool letter p activities for you. Have you been using these ideas? I would love to hear from you! It’s book time! This is my favorite part of teaching, all of the great books we get to read together. 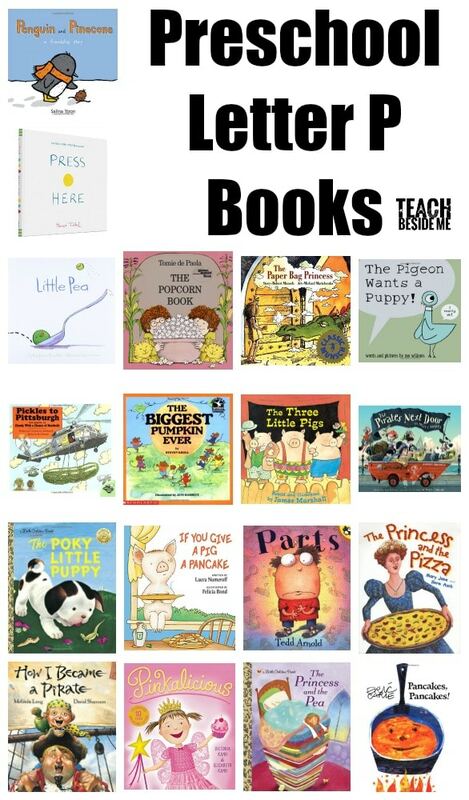 Here is a list of some preschool letter P themed books that we love and that we hope you will love, too! Need a letter P craft idea? 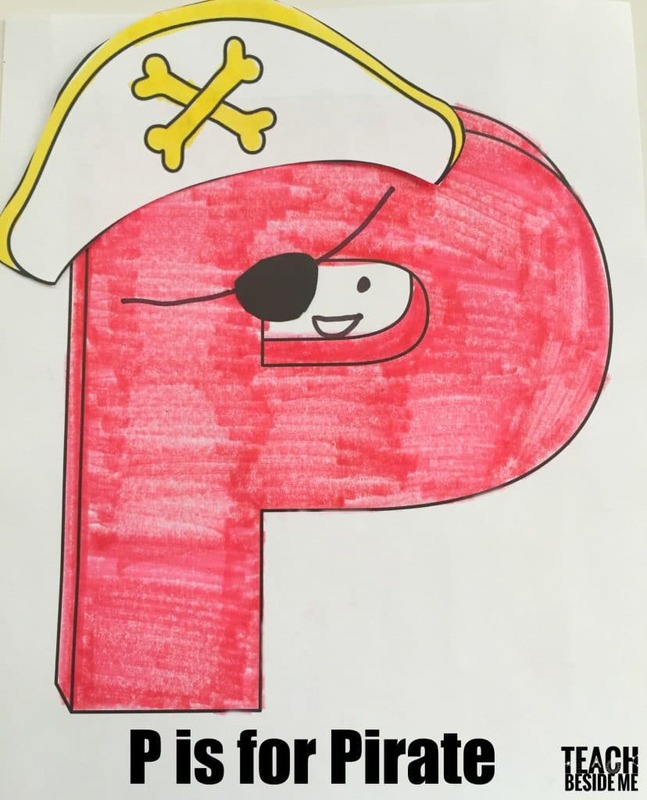 Make your letter P into a cute little pirate! IN my printable pack I include the templates to easily make this one happen. Pretzels are the perfect snack for the letter P! Plus no work or preparation required for this one. Why not try some pretzel patterns? 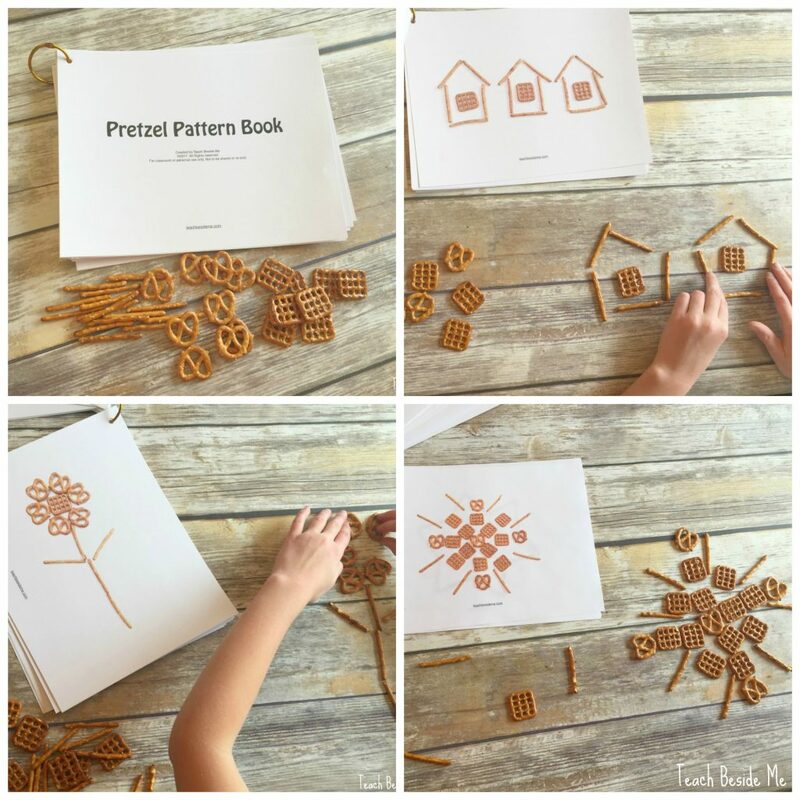 I have a super fun Pretzel Pattern Book that is available in my shop. It would be perfect for a letter P snack time activity! 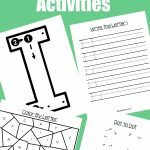 Want to Print the Preschool Letter P Activities? This is available in my shop as part of my letter of the week preschool curriculum bundle.